"...RW Owens Homes is setting the standard for quality, affordability, and efficiency. Every feature of each home reflects quality, using high-grade construction materials, exceptional designs, and meticulous attention to detail with the customer in mind..."
Energy Efficiency Energy star rated. Exterior walls with R-19 Insulation, dual-glazed low-E double pane windows, electric water heater, R-30 ceiling insulation. Avg. Cost per Square Foot Varies greatly depending on customization features. Possible to Addon to Existing Home Yes, but not always advisable. In most cases this will cause more problems than savings. 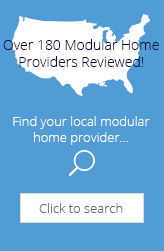 Editorial Review RW Owens Homes is an average modular provider. From the details and specifications we have seen so far we are happy with what RW Owens has to offer to modular home buyers. Their homes are green rated, energy star and structurally have everything we like to see in a good middle of the road design. 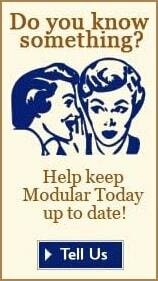 Be careful that your building site is not too far from their modular factory. The farther your site is will result in higher transportation costs are more wear and tear on your modular home. If you are in there service area we would suggest you visit their factory to learn more about them. Modules built well by factory in Athens, TX. Design is good. Foundation is solid. Those are the pluses. Minuses are many. Work never completed when promised. Many things paid for, but not delivered. At times there was no response for days or weeks to questions or concerns. Home was not finished, even though foundation was completed in September 2011 and modules were delivered in March 2012. Finally had to get another contractor to finish home in September 2012. That contractor took about a month to finish, as opposed to a year for Richard Owens. We will never get any warranty work from this builder. I could go on and on with the minuses. STAY AWAY FROM RW OWENS HOMES! We invite you to share your personal opinion of RW Owens Homes. Please explain your like or dislike.